A study of official data by GMB has shown that in London, full-time workers’ mean gross annual pay in 2018 was just 84.5% of what it was in 2007. In 2007 the mean gross annual pay of full-time workers was £42,226. In 2018 that figure was £48,604, which when you factor in inflation at 36.17%, saw a decrease in pay of 15.5%. The full-time gross annual earnings for workers resident in Hillingdon in 2018 was just 72.4% of what it was in 2007. This was the biggest decrease in the London region. It was followed by Hammersmith and Fulham at 75%, followed by Westminster 77.3%, Southwark 79.2%, Tower Hamlets 81.5%, Sutton 82.8%, Bromley 84.6%, Harrow 84.8%, Barnet 84.9%, Havering 86.6%, Waltham Forest 86.9%, Haringey 87.8%, and Hounslow 88%. Lewisham was the only borough that saw earnings increase over the 11-year period. - These figures are missing. "Two things stand out from these latest figures on what has happened to average earnings since the recession began in 2007. “First is that inflation has been steady but relentless. Retail prices are 36.17% higher in 2018 than in 2007. Second on average pay has not kept pace with this inflation. Across the board average earnings for full time workers in the UK are 89.6% in real terms to what they were in 2007. In London the figure is 84.5% of the 2007 figure. “Another thing that stands out is how patchy the recovery has been for workers resident in different areas. In London workers resident in 16 boroughs are currently earning -10% of the 2007 figures. On the other hand, residents of Lewisham has managed to get back to 2007 levels. “Overall workers need to enjoy above inflation pay rises for the good of the economy. Action is needed to secure a living wage of £9 outside London and £10.55 in London. That is why recent official data showing pay rises ahead of inflation is a welcome development in the economy. “The best and easiest way to tackle abuse in the labour market is to enable workers to exercise their current human rights to join trade unions to negotiate collective bargaining rights and secure better pay and conditions like a proper living wage. These rights are trampled on with total impunity by employers across the land. Amazon and Uber are not the exception. Last year when cinema workers in London took action to secure a living wage the employer responded by sacking the lay leaders of the workers to put down the strike. There has been no serious damage to the employer as a consequence. 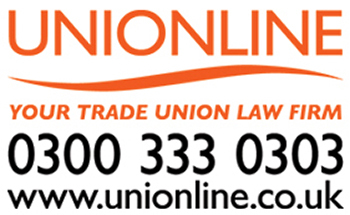 “GMB consider that managers interfering with the human rights of workers to combine into trades unions and force collective bargaining rights to secure better pay and conditions should be punished by severe fines and prison sentences. “This would stop the interference and workers themselves would force wages up for the benefit of the economy and the Exchequer. This in turn could reverse austerity across the public sector."